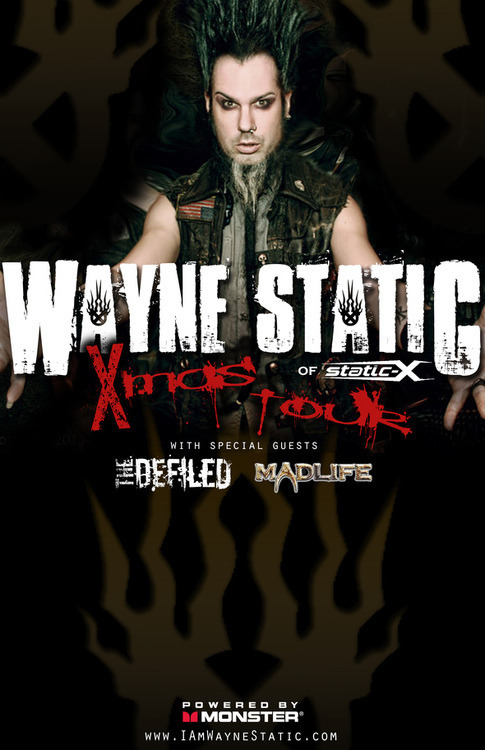 Industrial metal legend Wayne Static of Static-X has announced the dates of his 2013 X-Mas Tour. The Defiled and Madlife offer support on the tour which kicks off on December 3rd in Tempe, Arizona and works it way across the U.S. and back wrapping up on December 14th in West Hollywood, California. Newer:Review: Lamb of God – As The Palaces Burn (10th Anniversary Edition)Older:Allison Weiss Announces "Say What You Mean (Sideways Sessions)"